Today I’m linking in to Five Minute Friday hosted by Kate Motaung. This was written in 5 minutes. And how hard it was to heal. To start to realize her potential. The deep passion she had hidden. Realizing that she was valued. She had to voice her truth. In five minutes? Really? That’s one of the most profound five minutes I’ve ever encountered, Corinne! Thanks for reminding us to tell, even when our voices are shaky. So glad you find this through my blog! I just LOVE Five Minute Fridays. They are so much fun. They center my writing in ways that it lacks depth when I spend too much time on a post. And the community is just great. Loved this post. It really evoked emotions in me. Great job! Corrine, that was amazing! Such a great rhythm, it comes across almost like a chant. We all must tell. This was so well rendered and shaped. I can’t believe you did it so quickly. I agree with Vidya. It needs to be made into a poster. Beautifully expressed. Expressing the Truth is like a flow of water. It cleanses. Beautiful and powerful write. The stories need to be told and heard and acted upon. Thank you – it is a lovely read. Eventually the ones who resonate with you will be around you. 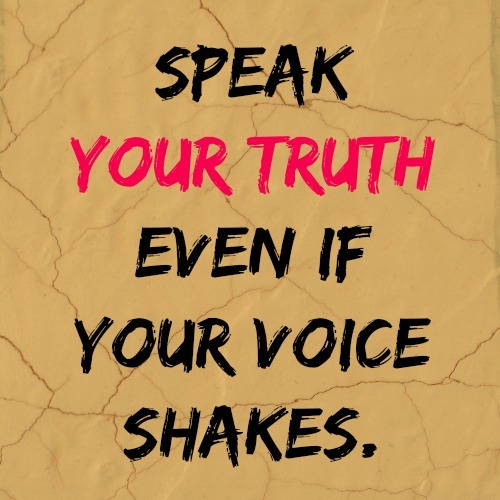 So yes, voice your truth. So well written Corinne, as always. So provocative! Loved the flow and the feeling and meaning behind the flow of these words. Beautiful. Beautiful. Thank you so much for sharing it.